The Northwest Florida Regional Artificial Reef Workshop was held February 20 at the Emerald Coast Convention Center in Fort Walton Beach Florida. 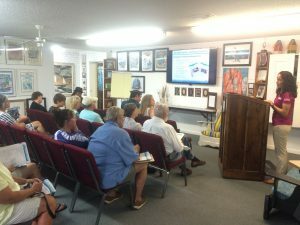 It followed the Northwest Florida Regional Lionfish Workshop held the day before as many in the audience have interest in both lionfish and artificial reefs. Okaloosa County Commissioner, Captain Kelly Windes, gave the welcome, sharing his experiences as a lifelong local and a 3rd generation charter boat captain operating for over 30 years. Keith Mille, Director of the Florida Fish and Wildlife Commission Artificial Reef Program gave the state updates. In the state of Florida, a total of 3,534 patch reefs have been deployed. In 2018, 187 new patch reefs were added to the mix. These reefs are made from concrete, formed modules, vessels, barges, metal and rock. The Atlantic side received 33 new patch reefs, while the Gulf side deployed 154. Many of the Gulf reefs are funded using Natural Resource Damage Assessment (NRDA) monies intended to compensate anglers and divers for loss of use during the 2010 Deepwater Horizon Oil Spill. 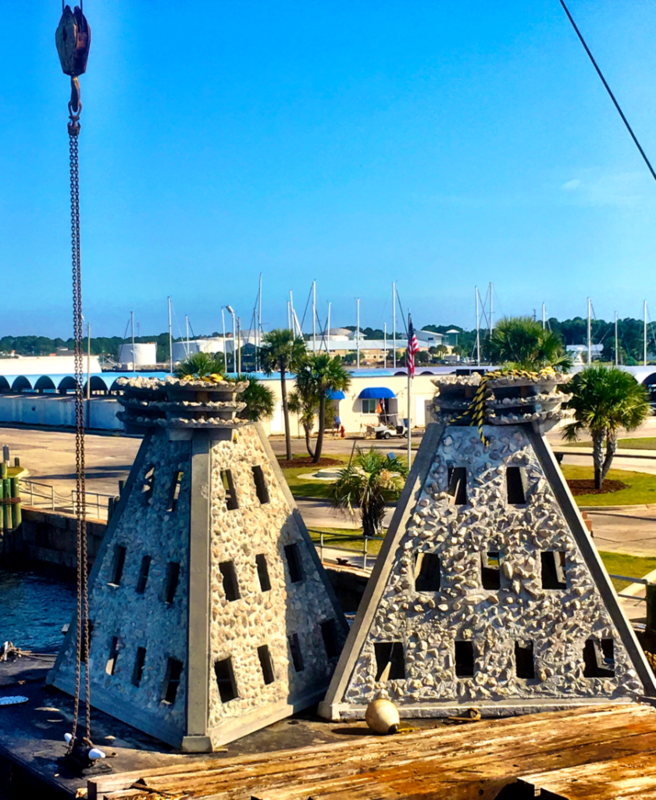 According to a recent economic evaluation of artificial reefs by the University of West Florida’s Dr. Bill Huth, fishing and diving on Escambia County’s artificial reefs support 2,348 jobs and account for more than $150 million in economic activity each year. County updates for Escambia, Santa Rosa, Okaloosa, Walton, Bay, City of Mexico Beach, Franklin, and Wakulla followed with Victor Blanco, Florida Sea Grant Agent from Taylor County, sharing his process for developing and training a volunteer research dive team to monitor the reefs. University of Florida researchers provided a reef fish communities update highlighting the response of gray trigger fish and red snapper populations near the reefs, as well as the impact of lionfish on these communities. They also provided answers to the question of how artificial reefs function ecologically versus as fishing habitat. This research hopes to enhance future assessments concerning siting and function of artificial reefs. An anthropologist from Florida State University described his role in conducting cultural resource surveys for artificial reefs. The day ended with a report on the assessment of artificial reefs impacted by Hurricane Michael and a demonstration of updated software used to create side scan mosaics for monitoring. Presentations were recorded and are available on the Florida Artificial Reefs Facebook page. A statewide Artificial Reef Summit is being organized for February 2020 and will be a great opportunity to learn more about Florida reefs. Researchers from University of West Florida recently estimated the value of Artificial Reefs to Florida’s coastal economy. 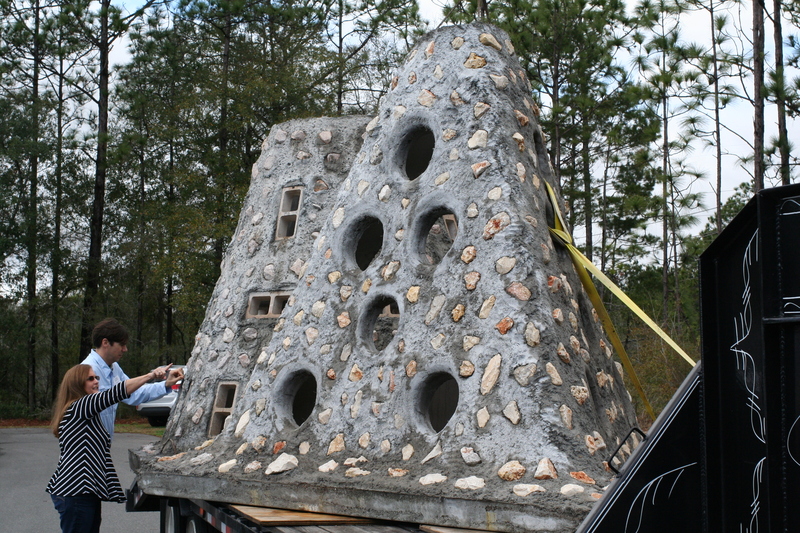 Bay County artificial reefs provide 49.02 million dollars annually in personal income to local residents. Bay County ranks 8th in the state of Florida with 1,936 fishing and diving jobs. This important economic study gives updated guidance and insight for industry and government leaders. This same level of detailed insight is available for other Northwest Florida counties and counties throughout the state. The UWF research team is one of several contributors scheduled to present at the Northwest Florida Artificial Reef Manager’s Workshop February 22. Florida Fish and Wildlife Commission and Florida Sea Grant are hosting the workshop. This meeting will bring together about fifty artificial reef managers, scientists, fishing and diving charter businesses, and others interested in artificial reefs to discuss new research, statewide initiatives and regional updates for Florida’s Northwest region. 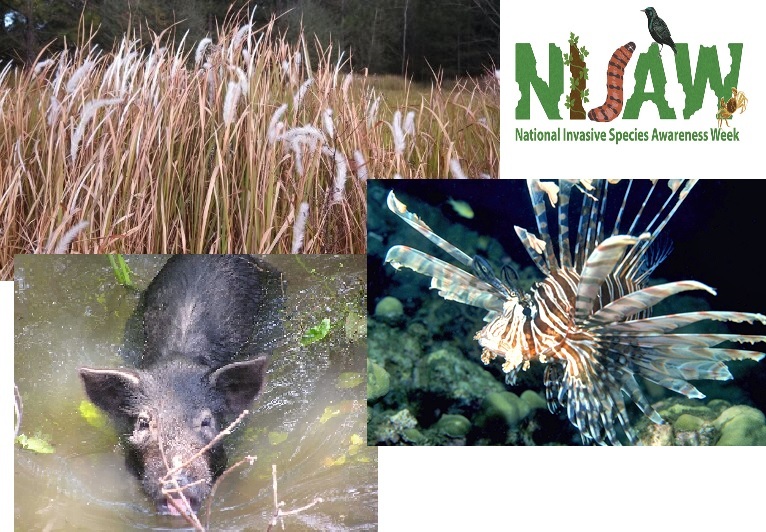 The meeting will be held at the UF/IFAS Extension Okaloosa County Office in Crestview, FL. Cost is $15.00 and includes conference handouts, light continental breakfast with coffee, lunch, and afternoon refreshments. Register now by visiting Eventbrite or short link url https://goo.gl/VOLYkJ. A limited number of exhibit tables/spaces will be available. For more information, please contact Laura Tiu, lgtiu@ufl.edu or 850-612-6197. Super Reefs staged at the Panama City Marina, which were deployed in SAARS D, located 3 nautical miles south of Pier Park. 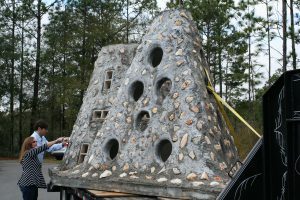 Learn more about this reef project and others at the Northwest Florida Artificial Reef Manager’s Workshop in Crestview, February 22, 2017. (Photo by Scott Jackson). Register now by visiting Eventbrite or short link url https://goo.gl/VOLYkJ. 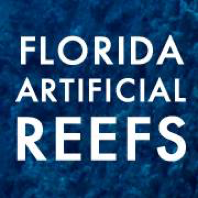 Live Broadcast, workshop videos, and other information will be available on Facebook at https://www.facebook.com/floridaartificialreefs/ (Florida Artificial Reefs) . An Equal Opportunity Institution. University of Florida, Institute of Food and Agricultural Sciences (UF/IFAS) Extension, Nick T. Place, Dean. Birds, migration, and climate change. Mix them all together and intuitively, we can imagine an ecological train wreck in the making. Many migratory bird species have seen their numbers plummet over the past half-century – due not to climate change, but to habitat loss in the places they frequent as part of their jet-setting life history. Now come climate simulation models forecasting more change to come. 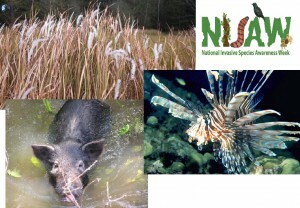 It will impact the strands of places migrants use as critical habitat. Critical because severe alteration of even one place in a strand can doom a migratory species to failure at completing its life cycle. So what aspect of climate change is now threatening these places, on top of habitat alteration by humans? It’s the change in weather patterns and sea level that we’re already beginning to see, as the impacts of global warming on Earth’s ocean-atmosphere linkage shift our planetary climate system into higher gear. For migratory birds, the journey itself is the most perilous link in the life history chain. A migratory songbird is up to 15 times more likely to die in migration than on its wintering or breeding grounds. Headwinds and storms can deplete its energy reserves. Stopover sites for resting and feeding are critical. And here’s where the Big Bend region of Florida figures prominently in the life history of many migratory birds. 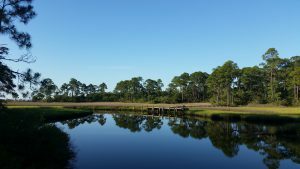 According to a study published in March of this year (Lester et al., 2016), field research on St. George Island documented 57 transient species foraging there as they were migrating through in the spring. That number compares favorably with the number of species known to use similar habitat at stopover sites in Mississippi (East Ship Island, Horn Island) as well as other central and western Gulf Coast sites in Alabama, Louisiana, and Texas. We now can point to published empirical evidence that the eastern Gulf Coast migratory route is used by as many species as other Gulf routes to our west. This confirmation makes conservation of our Big Bend stopover habitat all the more relevant. 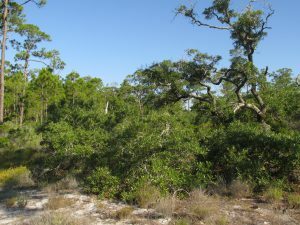 The authors of the study observed 711 birds using high-canopy forest and scrub/shrub habitat on St. George Island. Birds were seeking energy replenishment from protein-rich insects, which were reported to be more abundant in those habitats than on primary dunes, or in freshwater marshes and meadows. So now we know that specific places on our barrier islands that still harbor forests and scrub/shrub habitat are crucial. On privately-owned island property, prime foraging habitat may have been reduced to low-elevation mixed forest that is often too low and wet to be turned into dense clusters of beach houses. Think tall slash pines and mid-story oaks slightly ‘upslope’ of marsh and transitional meadow, but ‘downslope’ of the dune scrub that is often cleared for development. “OK, I get it,” you say. “It’s as if restaurant seating has been reduced and the kitchen staff laid off. Somebody’s not going to get served.” Destruction of forested habitat on our Gulf Coast islands has significantly reduced the amount of critical stopover habitat for birds weary from flying up to 620 miles across the Gulf of Mexico since their last bite to eat. But why the concern with climate change on top of this familiar story of coastal habitat lost to development? 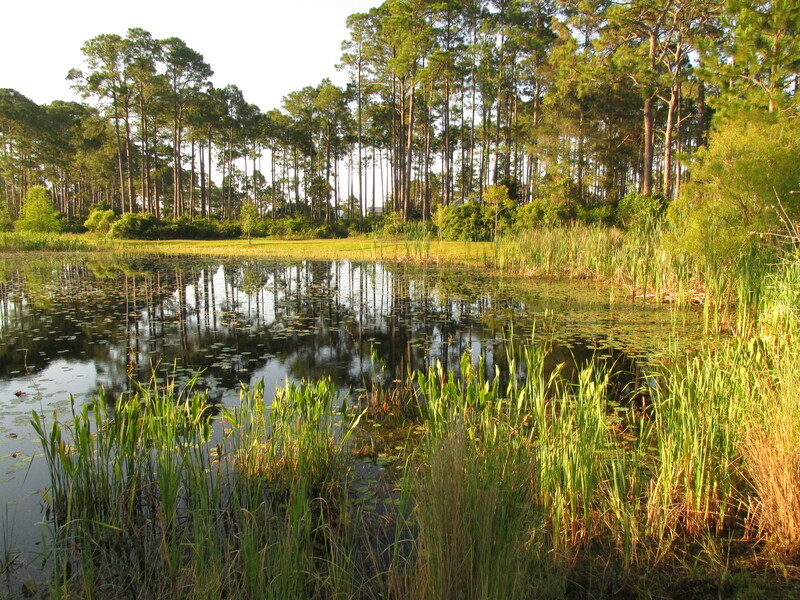 After all, we have conservation lands with natural habitat on St. Vincent, Little St. George, the east end of St. George, and parts of Dog Island and Alligator Point. Shouldn’t these islands be able to withstand the impacts of stronger and/or more frequent coastal storms, and higher seas – and their forested habitat still serve the stopover needs of migratory birds? Let’s revisit the “low and wet” part of the equation. 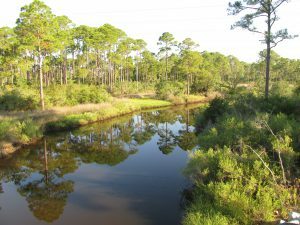 Coastal forested habitat that’s low and wet – either protected by conservation or too wet to be developed – is in the bull’s eye of sea level rise (SLR), and sooner rather than later. Using what Lester et al. chose as a reasonably probable scenario within the range of SLR projections for this century – 32 inches, these low-elevation forests and associated freshwater marshes would shrink in extent by 45% before 2100. It could be less; it could be more. Conditions projected for a future date are usually expressed as probable ranges. Experience has proven them too conservative in some cases. The year 2100 seems far away…but that’s when our kids or grandkids can hope to be enjoying retirement at the beach house we left them. Hmm. Scientists CAN project with certainty that by the time SLR reaches two meters (six and a half feet) – in whatever future year that occurs, 98% of “low and wet” forested habitat will have transitioned to marsh, and then eroded to tidal flat. 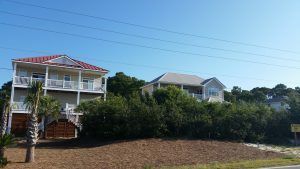 It could remain in the higher-elevation yard of your beach house, perhaps, if you saved what remnant of native habitat you could when building it. Or if you landscaped with native trees and shrubs, to restore a patch of natural habitat in your beach house yard. We’ve all thought that doing these things must be important, but only now is it becoming clear just how important. Who would have thought, “My beach house yard: the island’s last foraging refuge for migratory songbirds!” even in our most apocalyptic imagination? But what about coastal mainland habitat? Migratory birds are fortunate that the St. Marks Refuge protects inland forested habitat just beyond coastal marshland. A longer flight will take them to the leading edge of salty tidal reach. There the beautifully sinuous forest edge lies up against the marsh. This edge – this trailing edge of inland forest – will succumb to tomorrow’s rising seas, however. As the salt boundary moves relentlessly inland, it will run through the Refuge’s coastal buffer of public lands, and eventually knock on the surveyor’s boundary with private lands. All the while adding flight miles to the migration journey. In today’s climate, migrants exhausted from bucking adverse weather conditions over the Gulf may not have enough energy to fly farther inland in search of forested foraging habitat. Will tomorrow’s climate make adverse Gulf weather more prevalent, and migration more arduous? Spring migration weather over the Gulf can be expected to change as ocean waters warm and more water vapor is held in a warmer atmosphere. But HOW it will change is difficult to model. Any specific, predictable change to the variability of weather patterns during spring migration is therefore much less certain than SLR. What will await exhausted and hungry migrants in future decades? Our community decisions about land use should consider this question. Likewise, our personal decisions about private land management – including beach house landscaping. And it’s not too early to begin. Erik Lovestrand, Sea Grant Agent and County Extension Director in Franklin County, co-authored this article. The Deepwater Horizon (DWH) oil spill occurred about 50 miles offshore of Louisiana in April 2010. Approximately 172 million gallons of oil entered the Gulf of Mexico. Five years after the incident, locals and tourists still have questions. The Okaloosa County UF/IFAS Extension Office invited a Gulf of Mexico Oil Spill Scientist, Dr. Monica Wilson, to help answer the five most common questions about the oil spill and to increase the use of oil spill science by people whose livelihoods depend on a healthy Gulf. The event was held at the Destin History and Fishing Museum on Monday evening, July 11, 2016. Executive Director, Kathy Marler Blue partnered with the University of Florida to host the event. “The Destin History and Fishing Museum has a vision that includes expanding its programs to include a lecture series,” said Blue. Over 20 interested individuals attended the lecture and the question and answer session was lively. This was the first in what hopes to be an ongoing lecture series, bringing more scientific information to our county. Dr. Wilson is based in St. Petersburg, Florida with the Florida Sea Grant College Program. Monica uses her physical oceanography background to model circulation and flushing of coastal systems in the region and the impacts of tropical storms on these systems. She focuses on the distribution, dispersion and dilution of petroleum under the action of physical ocean processes and storms. For this lecture, she covered topics such as: the safety of eating Gulf seafood, impacts to wildlife, what cleanup techniques were used, how they were implemented, where the oil went, where is it now, and do dispersants make it unsafe to swim in the water? The oil spill science outreach program also allows Sea Grant specialists to find out what types of information target audiences want and develop tailor-made products for those audiences. The outreach specialists produce a variety of materials, such as fact sheets and bulletins, focused on meeting stakeholder information needs. The specialists also gather input from target audiences through workshops and work with researchers to share oil spill research results at science seminars that are facilitated by the specialists. 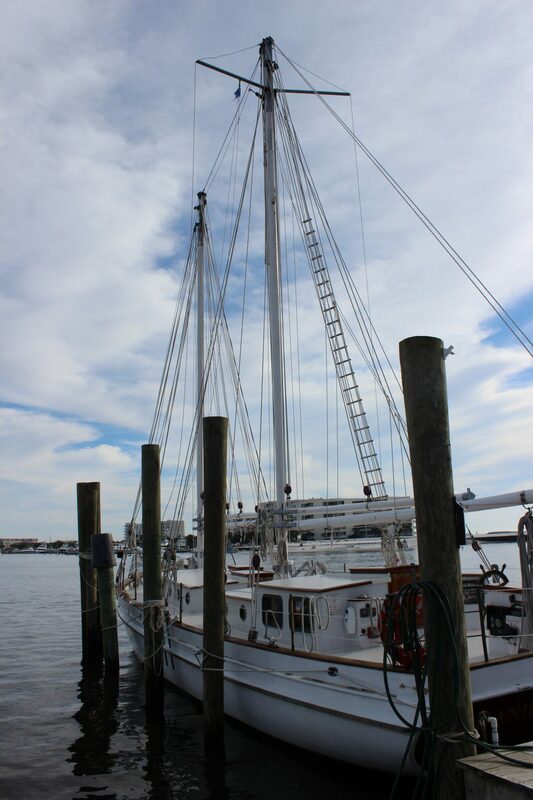 The Destin History and Fishing Museum is a nonprofit organization whose members are dedicated to preserving, documenting, and sharing the complete history of Destin. Please subscribe to their Facebook page for information on upcoming events. The UF IFAS Extension Okaloosa County office also hosts a Facebook page with announcement of upcoming programs. For several years now Dr. Angela Collins, with Florida Sea Grant, has been conducting research on the status of the Goliath Grouper. This extremely large member of the Family Serranidae has been of concern to fishermen, divers, and resource managers in south Florida. 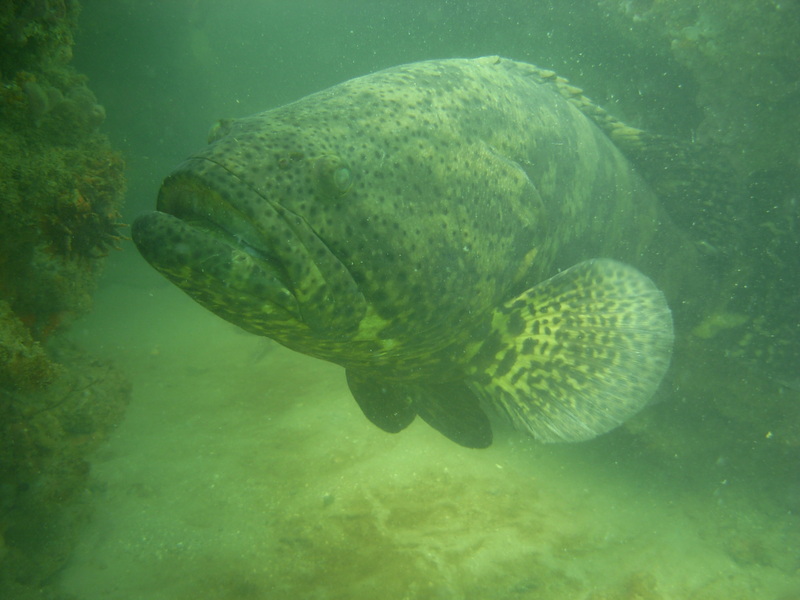 The harvest of goliath groupers has been prohibited since 1990 but their populations have certainly increased. Once found throughout the Gulf region, they became rare from recreational and commercial harvesting in the 1970’s and 80’s; most of the fish that were encountered were encountered in southwest Florida. Today, their numbers have increased and records of the animal have been logged from Tampa Bay, the Big Bend, and now from the Panhandle region. At this point FWC is not sure whether the numbers have recovered enough to remove the ban from harvesting. 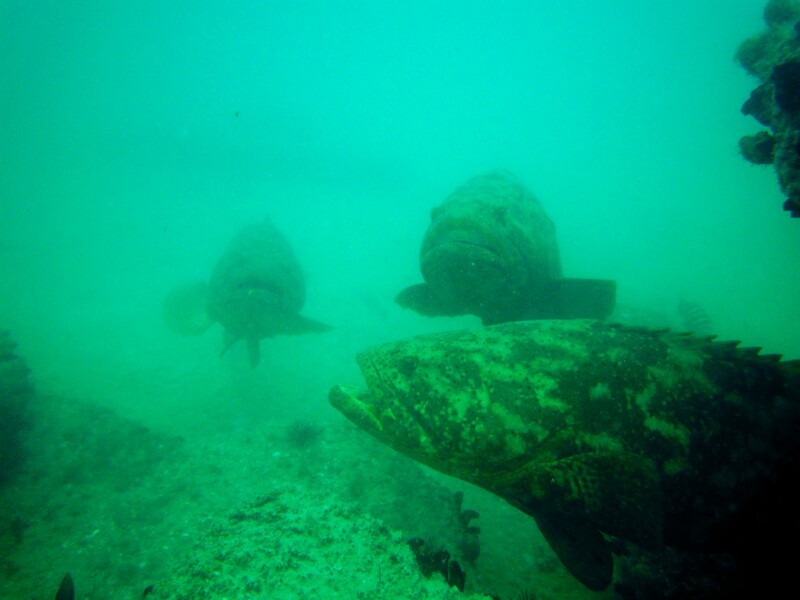 Each year, during the first week of June, Dr. Collins conducts a statewide survey of Goliath Grouper encounters. She is particularly interested in Goliath Grouper sightings in the panhandle. This year the survey will begin this Sunday – June 5 and extend to Saturday June 11. Any diver interested in participating in the survey should contact their local Sea Grant Agent to obtain the official data sheet. These sheets can be scanned and returned to your local Sea Grant Agent – or you can contact them for alternative methods for submitting the results. We hope local divers will consider helping us with this needed information. These data sheets will be part of the annual assessment of the status of this neat fish. For more information visit the Florida Sea Grant website (https://www.flseagrant.org/news/2016/06/great-goliath-grouper-county-provides-fisheries-managers-stock-assessment-data/).